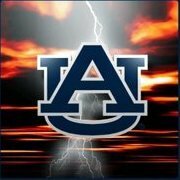 (7/25/16): Tray commits to AU! Offers: Alabama, Auburn, Clemson, Duke, Florida, Florida State, Georgia, Georgia Southern, Kentucky, Mississippi State, Nebraska, Notre Dame, Ole Miss, Penn State, Samford, South Alabama, Southern Miss, Troy and Wisconsin, among others. The 6-foot-3, 193-pounder says the main things that make Auburn his top school right now are the facilities and his relationship with coach Gus Malzahn and recruiting coach Scott Fountain. Bishop is an athlete. He plays quarterback, but will move to wide receiver or safety on the next level. Not a lot of wiggle there, and a little tightness, but straightline speed is elite. Has a real burst when he hits daylight or turns up the field. Could be a big safety who comes downhill. As a receiver, he would be an outside guy with the ability to get vertical. He good length. Will now just have to settle in and learn a position on the next level. I don't do those nearly as much. I did it for MM cuz I'm super excited about him and had a minute of down time to do it. Omg, speed kills. Watched his HUDL video. Kid is just an extremely gifted athlete. I hope his intestinal condition clears up!! Too early to predict a position? does anyone know if he wants to or will be given a chance to play QB in college? Kid is a baller. Only a 3* on Rivals. AU lean. Very AU lean. Wow. 6'3" with a 4.3 forty? What position most likely? With that height and speed and already over 190 Mikey may have the LB of his dreams. Even though I could see him starting out as a safety and then as he fills out becoming a linebacker. He would have the size to cover TE's and speed to cover backs out of the backfield. does anyone think he has a chance on offense? Seems electric with the ball in his hands, runs a zone read offense, has (seemingly) good pocket presence (of course I've only seen his highlights and not him getting sacked) and threw some decent passes. If he wants to play D at the next level then by all means. I feel like the coaches would have a hard time bulking this kid up too much and losing that 4.37 speed. I also feel like Gus would have an extremely difficult time letting this kid D unless it's extremely obvious that's where he belongs. 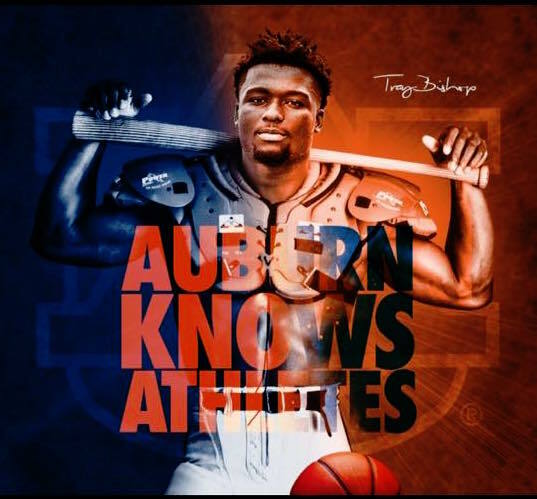 AU is recruiting him as a WR right now. Bishop has some wicked speed. JMO, I see him as a WR, or a speed sweep back; a much bigger version of McCaleb. Maybe he could be redemption for the McGriff kid who was committed a year or two ago but didn't make it on campus. Tommy likey. Tommy want wingy.